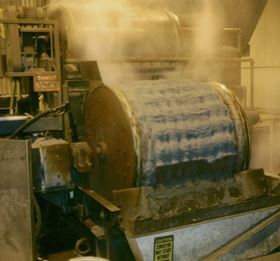 The iron powder dewatering process. Atomising Systems Ltd and Perdac (now part of CPFResearch Ltd) have announced the dates of their next short course on atomization for metal powders. The next course will run again on 23 and 24 February 2017 in Manchester, UK. The 10th of its kind, the course will combine practical information with theory and is of value to engineers working in both metal powder production and R&D. It features expanded coverage of additive manufacturing and modern powder analysis methods along with all current atomizer types for most metals and powder types and uses, key instrumentation, essential theory and computer modelling and plant design, operation and economics. This story is reprinted from material from Atomising Systems Ltd, with editorial changes made by Materials Today. The views expressed in this article do not necessarily represent those of Elsevier.